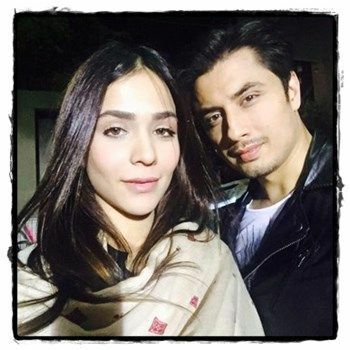 Ali zafar pays tribute to the Peshawar attack victims of the Army Public School (APS) through his upcoming video. The multi talented actor, artist, painter, singer and above all a modest human being, Ali has gathered many celebs for this noble act. Renowned actors, models and artists have joined hands with Ali to promote peace created through the soothing sound track. Ali Zafar, Ammara Hikmat, Mohib Mirza, Sanam Saeed, Imran Abbas, Mehwish Hayat and Humayun Saeedhave participated in the shoot. The celebrities expressed their confidence in Zafar’s musical effort for the Peshawar attack victims. Ali Zafar has united musicians, actors and sports stars for the upcoming video of his latest song ‘Urein Ge‘ (Will Fly). The video for the upcoming tribute is also said to include Shoaib Malik, Ali Kazmi, Saira Kazmi, Mahira Khan and Humaima Malik among others. Aside from Ali Zafar, Many famous singers, poets and music bands have dedicated songs to the departed children and their beloved parents for bearing such a heavy loss.